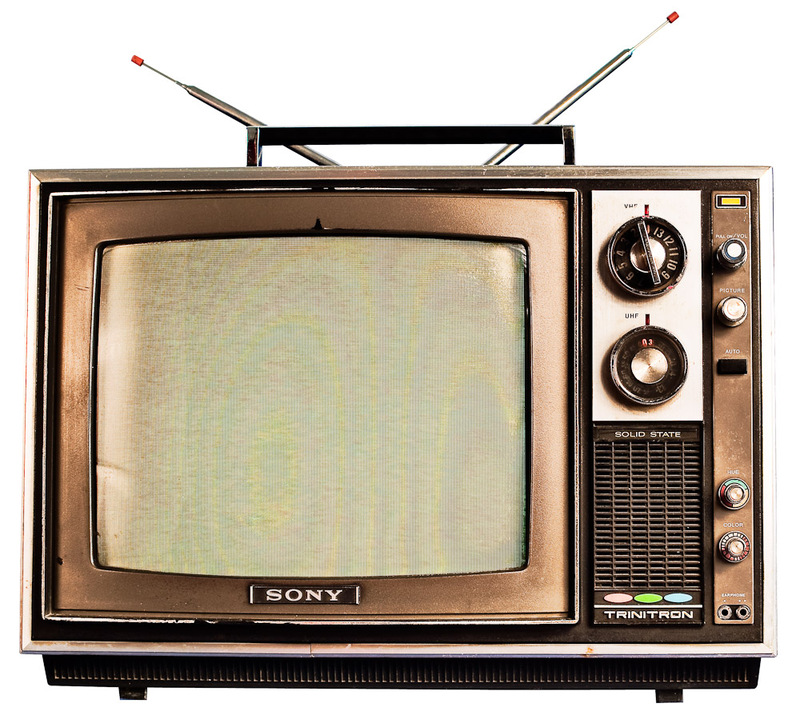 Today I ask if a small provider can be profitable and succeed with a cable TV product. This was prompted by the news that Cable One, one of the traditional mid-sized cable companies, is bleeding cable customers. For those not familiar with the company they are headquartered in Phoenix, AZ and operate cable systems in 19 states with the biggest pockets of customers in Idaho, Mississippi and Texas. The company just reported that for the 12 months ending on March 31 that they had lost 12.7% of their cable customers and dropped below 300,000 total cable customers. Just a few years ago the company would not have cracked the top ten cable companies in the country in size, but with all of the consolidation in the industry they are now at the bottom of that list. While most of my clients would consider anybody on the list of top ten cable companies to be large, I wonder if anybody smaller than the few really giant cable companies can maintain a profitable and viable cable product in today’s environment? Cable One’s drop in cable customers was precipitated by several factors. One that is very familiar to small cable operators is that Cable One decided in 2015 to drop the Viacom suite of channels from their system. Small cable operators all remember when Viacom announced huge and unprecedented rate increases of over 60% for the suite of channels that include MTV, Comedy Central, BET and a number of other channels. A number of my clients also decided to drop Viacom rather than pay for the huge increases in programming. Cable One also shares another characteristic with smaller companies in that they are too small to unilaterally negotiate alternate piles of programming to sell as skinny bundles. So they and other small companies are likely to see customers abandoning them for smaller line-ups from Sling TV and other purveyors of smaller on-line line-ups. Finally, Cable One is seeing the same cord cutting as everybody else. While only a fraction of their customer losses can be blamed on cord cutting, it is now a real phenomenon and all cable companies can expect to routinely lose a larger number of customer every year to Netflix and others. The giant cable companies are not immune from these same market influences. The giants like Comcast and Charter are also seeing big increases in programming costs. Recent Comcast financials show that the company saw a 13% increase in programming cost over the prior year (although some of that increase was paid to their own programming subsidiaries). It looks like the giant cable companies will be able to offset losses in cable margins with new sources of revenues. Comcast has launched a cellular product and Charter recently announced becoming a partner in that business. I’ve written several blogs of all of the ways that Comcast is still growing their business – almost all which smaller companies are unable to duplicate. 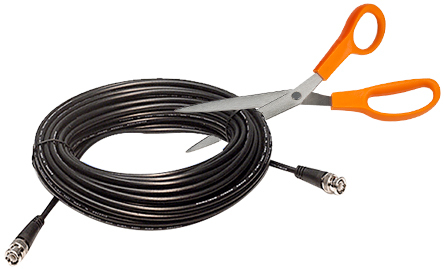 A big dilemma for small cable companies is that the TV product still drives positive margins. While every small cable provider I know moans that they lose money on the cable product, the revenues generated from cable TV still exceed the cost of programming and almost every company I know would suffer at the bottom line if they killed the TV product line. It has to be troubling for programmers to see cable companies struggling this hard. If somebody the size of Cable One is in crisis then the market for the programmers is quickly shrinking to only serving the handful of giant cable companies. The consolidation of cable providers might give enough market power to the huge cable companies to fight back against big rate increases. For instance, Charter recently announced that they were demoting a number of Viacom channels to higher tiers, meaning that the channels would not automatically be included in the packages that all customers get and that payments to Viacom will decrease. It’s hard to think of another industry that is trying so hard collectively to drive away their customer base. But all of the big companies in the sector – the cable providers and programmers – are publicly traded companies that face huge pressure to keep increasing earnings. As customers disappear the programmers raise rates higher to make up for the losses, which then drives more customers out of the cable market. It doesn’t take sophisticated trending to foresee a day coming in the next decade where cable products will become too expensive for most homes. We are watching a slow train wreck which the industry seems to have no will or ability to stop. It also doesn’t take a crystal ball to foresee when cable will turn into a true loser for small cable operators. I already know of a dozen telcos that have backed out of the cable business and over the next decade this is likely to turn into a flood as companies back away from a dying product line. My prediction is that we are going to see more stringent data caps in our future. Some of the bigger ISPs have data caps today, but for the most part the caps are not onerous. But I foresee data caps being reintroduced as another way for big ISPs to improve revenues. You might recall that Comcast tried to introduce a monthly 300 GB data cap in 2015. When customers hit that mark Comcast was going to charge $10 for every additional 50 GB of download, or $30 extra for unlimited downloading. There was a lot of public outcry about those data caps. Comcast backed down from the plan due to pressure from the Tom Wheeler FCC. At the time the FCC probably didn’t have the authority to force Comcast to kill the data caps, but the nature of regulation is that big companies don’t go out of their way to antagonize regulators who can instead cause them trouble in other areas. To put that Comcast data cap into perspective, in September of 2017 Cisco predicted that home downloading of video would increase 31% per year through 2021. They estimated the average household data download in 2017 was already around 130 GB per month. You might think that means that most people wouldn’t be worried about the data caps. But it’s easy to underestimate the impact of compound growth and at a 31% growth rate the average household download of 130 GB would grow to 383 gigabits by 2021 – considerably over Comcast’s propose data cap. Even now there are a lot of households that would be over that caps. It’s likely that most cord cutters use more than 300 GB per month – and it can be argued that the Comcast’s data caps would punish those who drop their video. My daughter is off to college now and our usage has dropped, but we got a report from Comcast when she was a senior that said we used over 600 GB per month. So what are the data caps for the largest ISPs today? Charter, Altice, Verizon and Frontier have no data caps. Comcast moved their data cap to 1 terabyte, with $10 for the first 50 GB and $50 monthly for unlimited download. AT&T has almost the stingiest data caps. The cap on DSL is 150 GB, on U-verse is 250 GB, on 300 Mbps FTTH is 1 TB and is unlimited for a Gbps service. They charge $10 per extra 50 GB. CenturyLink has a 1 TB cap on DSL and no cap on fiber. Cox has a 1 TB cap with $30 for an extra 500 GB or $50 unlimited. Cable One has no charge but largely forces customers who go over caps to upgrade to more expensive data plans. Their caps are stingy – the cap on a 15 Mbps DSL connection is 50 GB. Mediacom has perhaps the most expensive data caps – 60 Mbps cap is 150 GB, 100 Mbps is 1 TB. But the charge for violating the cap is $10 per GB or $50 for unlimited. Other than AT&T, Mediacom and Cable One none of the other caps sound too restrictive. Why do I think we’ll see data caps again? All of the ISPs are looking forward just a few years and wondering where they will find the revenues to increase the demand from Wall Street for ever-increasing earnings. The biggest cable companies are still growing broadband customers, mostly by taking customers from DSL. But they understand that the US broadband market is approaching saturation – much like has happened with cellphones. Once every home that wants broadband has it, these companies are in trouble because bottom line growth for the last decade has been fueled by the growth of broadband customers and revenues. A few big ISPs are hoping for new revenues from other sources. For instance, Comcast has already launched a cellular product and also is seeing good success with security and smart home service. But even they will be impacted when broadband sales inevitably stall – other ISPs will feel the pinch before Comcast. ISPs only have a few ways to make more money once customer growth has stalled, with the primary one being higher rates. We saw some modest increases earlier this year in broadband rates – something that was noticeable because rates have been the same for many years. I fully expect we’ll start seeing sizable annual increases in broadband rates – which go straight to the bottom line for ISPs. The impact from broadband rate increases is major for these companies – Comcast and Charter, for example, make an extra $250 million per year from a $1 increase in broadband rates. Imposing stricter data caps can be as good as a rate increase for an ISPs. They can justify it by saying that they are charging more only for those who use the network the most. As we see earnings pressure on these companies I can’t see them passing up such an easy way to increase earnings. In most markets the big cable companies are a near monopoly and consumers who need decent speeds have fewer alternative as each year passes.Since the FCC has now walked away from broadband regulations there will be future regulatory hindrance to the return of stricter data caps. Can a Small Cable Company Succeed? Today I ask the question of whether anybody small can really succeed with a cable TV product. This was prompted by the news that Cable One, one of the mid-sized cable companies, is bleeding cable customers. For those not familiar with the company they are headquartered in Phoenix, AZ and operate cable systems in 19 states with the biggest pockets of customers in Idaho, Mississippi and Texas. The company just reported that for the 12 months ending on March 31 that they had lost 12.7% of their cable customers and dropped below 300,000 total cable customers. Most of my clients would consider anybody of this size to be a large cable company. But their struggles beg the question of anybody smaller than the really giant cable companies can seriously maintain a profitable and viable cable product in today’s environment. The drop in their cable customers was precipitated by a number of factors. One that is very familiar to small cable operators is that Cable One decided in 2015 to drop the Viacom suite of channels from their system. We all remember that in that year Viacom announced huge and unprecedented rate increases of over 60% for the suite of channels that include MTV, Comedy Central, BET and a number of other channels. A number of my clients also decided to drop Viacom rather than pay for the huge increases in programming. Cable One also shares another characteristic with smaller companies in that they are too small to unilaterally negotiate alternate piles of programming to sell as skinny bundles. So they and other small companies are likely to see customers abandoning them for smaller line-ups from Sling TV and other purveyors of smaller on-line line-ups – including Hulu which just announced entry into this quickly growing market. And finally, Cable One and most other cable companies are now starting to feel the impact of cord cutting. While only a fraction of their customer losses can be blamed on cord cutting, it is now a real phenomenon and all cable companies can expect to lose a few percent of customers every year to Netflix and others. The really large cable companies are not immune to these same market influences. The giants like Comcast and Charter / Spectrum are going to continue to see big increases in programming costs. Recent Comcast financials show that the company saw a 13% increase in programming cost over the last year (although some of that increase was paid to their own subsidiaries of programmers). But the handful of giant cable companies are so big that they look like they are going to be able to offset losses in cable revenues in margins with new sources of revenues. For example, Comcast and Charter announced recently that they will be launching a jointly-provisioned cellular business that will help them grow revenues significantly instead of just treading water like smaller cable revenues. And I’ve recently written in here of all of the other ways that Comcast is still growing their business, which smaller companies are unable to duplicate. The biggest dilemma for small cable companies is that the TV product still drives positive margin for them. While every small cable provider I know moans that they lose money on the cable product, the revenues generated from cable TV are still in excess of programming costs and almost every company I know would suffer at the bottom line if they kill the TV product line. It has to be troubling for programmers to see cable companies struggling this hard. If somebody the size of Cable One is in crisis then the market for the programmers is quickly shrinking to only serving the handful of giant cable companies. The consolidation of cable providers might mean that the huge cable companies might finally be able to band together to fight back against the big rate increases. Just last week Charter announced that they were demoting a number of Viacom channels to higher tiers (meaning that the channels would not automatically be included in the packages that all customers get). It’s hard to think of another industry that is trying so hard to collectively drive away their customer base. But all of the big companies – cable providers and programmers – are all publicly traded companies that have huge pressure to keep increasing earnings. As customers continue to drop the programmers raise rates higher, which then further drives more customers to drop out of the cable market. It doesn’t take sophisticated trending to foresee a day within the next decade where cable products could become too expensive for most homes. We are all watching a slow train wreck which the industry seems to have no will or ability to stop. What if Nobody Wants to Sell Video? Some of the largest cable companies in the country have begun to de-emphasize cable TV as a product and it makes me wonder if smaller companies should consider the same strategy. It’s been clear to everybody in the industry that margins on cable have dropped, so the question that every cable provider should ask is how hard should you work to maintain cable customers or introduce any new innovations in your cable products? The largest company that is downplaying cable TV is Cable ONE. Earlier this year Cable ONE’s CEO James Dolan told investors that cable had accounted for 64% of his profits in 2005, but by 2018 he expects that to drop to under 30 percent. Like many other cable companies, the lost margins on cable have been replaced by sales of broadband products. Cable ONE has gone farther than most cable companies in de-emphasizing cable. For example, they and Suddenlink decided to drop the Viacom suite of cable networks when the programmer asked for a giant rate increase last year. This decision has cost these companies cable subscribers, and Cable One lost over 100,000 cable customers in the year after the decision, but the companies see this as a good long-term strategy. If you are a small ISP and offer cable then your situation has to be a lot direr than Cable ONE’s. I have one small client who dropped their cable offering altogether earlier this year and they were surprised to find out how positively it affected them. They went from having a room full of busy customer service reps to having almost no inbound calls. It turns out that cable drove almost all of the inquiries and complaints to the company. This tells me that it’s likely that offering cable is costing a small company a lot more than they realize. By the time you factor in the true amount of customer service time and truck rolls that are associated with the cable product it’s very likely that for small companies cable is completely under water. The cable companies still have one major advantage that gives them a lot of flexibility. In the majority of the markets in the US the cable companies have no real competition with their data products and they have captured the lion’s share of the market. The latest statistics I’ve seen show that less than 10% of the homes in the country have access to fiber, and a lot of that is Verizon FiOS which is no longer expanding. In most markets the cable companies are still competing against DSL – a battle they have largely won. For a while the telcos were rapidly expanding broadband products based upon paired-copper DSL, like AT&T U-verse, and were capturing a lot of data customers. But a lot of homes are starting to find that a data pipe that delivers around 40 Mbps of data, and which must be shared between cable and data products, is not fast enough for them. This might be the primary reason that AT&T bought DirecTV, to take pressure off their huge embedded base of U-verse customers by moving cable back to the satellites. There is a lot of press about the growth in fiber-to-the-home. CenturyLink says they will pass 700,000 homes with fiber by the end of the year. AT&T is announcing new markets almost weekly for their new fiber product. And Google is steadily but slowly building fiber to new cities. But even if all of this fiber activity raises the national fiber passings to 20% of homes the cable companies will still be in the driver’s seat in most markets. The larger cable companies are being proactive in order to preserve their large market broadband penetration rates. They have almost all announced that they are embracing DOCSIS 3.1 and will be significantly increasing data speeds in markets ahead of any fiber builds. Until now fiber roll-outs have had great success when entering markets where they are selling gigabit fiber against a 15 – 30 Mbps cable product. But fiber’s success is not going to be so automatic if cable companies can counter gigabit fiber with a lower-priced 250 Mbps or faster data product. To come back around to my original point, it’s clear that data is becoming everything for cable companies. Analysts have been wondering for a few years how the large cable packages might eventually unravel. There has been a lot of speculation that cord-cutters and OTT programming will chip away at the business. But the death of the traditional cable packages might instead come when the cable companies all stop caring about cable TV. At that point they will have regained the balance of power against the programmers. Comcast. For the quarter they lost 81,000 TV subscribers compared to losing 127,000 in the 3rd quarter of 2013. Meanwhile they gained 315,000 data customers compared to 297,000 customer a year before. Overall profits were up 4% over the year before. Comcast now has 22.4 million video customers and 21.6 million data customers. Time Warner Cable. The company lost 184,000 cable subscribers in the third quarter compared to 122,000 in the previous year. But the company did add 92,000 residential data customers for the quarter. Earnings were up 3.6%, driven by cable rate increases and growth in the business services group. The company saw a 9.6% increase in programming costs, driven by a bad deal they made for the programming rights to the LA Dodgers. Charter Communications. Charter lost 22,000 video customers for the quarter compared to 27,000 a year earlier. They saw data customers increase by 68,000 compared to 46,000 a year ago. Overall profits were up 8% driven by rate increases and data customer gains. Charter finished the quarter with 4.15 million cable customers. CableVision. The company saw significant loss of 56,000 cable customers, Profits for the company dropped to $71.5 million for the quarter down from $294.6 million a year earlier. Suddenlink. The company added 2,200 video customers for the quarter compared to a loss the previous year of 3.200 subs even though they have dropped Viacom programming. Revenues increased by 6.6% compared to a year ago. AT&T. U-verse added 216,000 cable customers for the quarter and added 601,000 data customers. The company now has more than 6 million video customers and 12 million data customers. U-verse profits were up 23.8% compared to a year earlier. Verizon. The company added 114,000 new video customers and 162,000 new data customers for the quarter. The company now has 5.5 million video customers and 6.5 million data customers. DirectTV. The company saw a decrease of 28,000 customers for the quarter while revenues grew by 6% due to rate increases. The average satellite bill is up to $107.27 per customer per month. Netflix. Netflix added 1 milllion US subscribers and 2 million international subscribers for the quarter. They now have 37 million US customers and almost 16 million international ones. But these growth rates were less than their predictions and their stock tumbled 25% on the news. Amazon Prime. The company does not report number of customers. But their earnings release says they gained significant customers even while increasing their annual fee from $79 to $99. What does all of this mean? As can be seen by looking at all of the major players who make quarterly releases (companies like Cox do not), one can see that total video subs are down by maybe a net of 100,000 for the quarter. But cord cutting is growing when you consider that the industry used to routinely grow by 250,000 customers per quarter for now households being built. So it looks like cord cutting is growing by perhaps 1.5 million per year. Within these numbers one can’t see the effects of cord shaving. It’s been widely reported that customers are downsizing their cable package as a way to save money. None of these companies report on their mix of types of customers. Netflix and Amazon Prime continue to grow significantly along with other on-line content providers. It’s been reported that over half of the households in the country pay for at least one of the on-line services and many others watch free content available at Hulu and other sites. One thing that is obvious is that broadband is still growing for all of the service providers. In fact, Comcast and other traditional cable providers are starting to refer to themselves more as ISPs than as cable companies. This table only looks at the major carriers, but in this country that is almost everybody. For example, missing from the table of cable customers are all of the other providers, who altogether only have 7% of the total cable market. The number of high-speed data customers continues to grow and the major providers added 2.5 million more customers in both 2012 and 2013. The major cable companies either have or soon will have more data customers than cable customers. This explains why they now view themselves as ISPs who happen to sell cable. The cable companies lost 2.7 million cable customers from 2011 to 2013. This may have more to do with service and competition than anything else since AT&T and Verizon picked up 2.7 million cable customers during that same time period. The Comcast / Time Warner proposed merger is gigantic since those two firms are two of the top three data providers today and two of the top four cable providers. As much effort as the satellite companies expend in advertising they are barely growing. Dish Networks, for example added a net 1,000 customers in 2013. A few companies are really bleeding cable customers and Cablevision and Cable One both lost 14% of their cable subscribers over a two year period. Even Time Warner lost 11%. As well as AT&T and Verizon have done in cable, together they have only grown to be 12% of the cable market. The fastest growing ISPs over the two-year period are Charter (17%), Comcast (13%) and MediaCom (13%).